Zaniol’s exhibition calls into question three British influential art personalities Hirst, Emin and Perry and compares them to luxury fashion brands. The show, a parody advertising campaign showcases the launch of three perfumes as if they had been commissioned by these three luxury ‘fashion houses’. The perfume bottles and their fragrances, reference each of the artist’s brand essence. A solo exhibition and public forum parodying celebrity art and luxury branding by Giulia Zaniol. The show, taking place at Gallery Different, Fitzrovia calls into question three of Britain’s most influential art personalities; Damien Hirst, Tracey Emin and Grayson Perry and how they have blurred the lines between luxury labels and fine art. Zaniol has developed a brand name for each one - Diamonds & Heist, Eminent and Miss Clair and created special fragrances and sculptures of perfume bottles that reflect her interpretation of each artist’s ‘brand essence’. 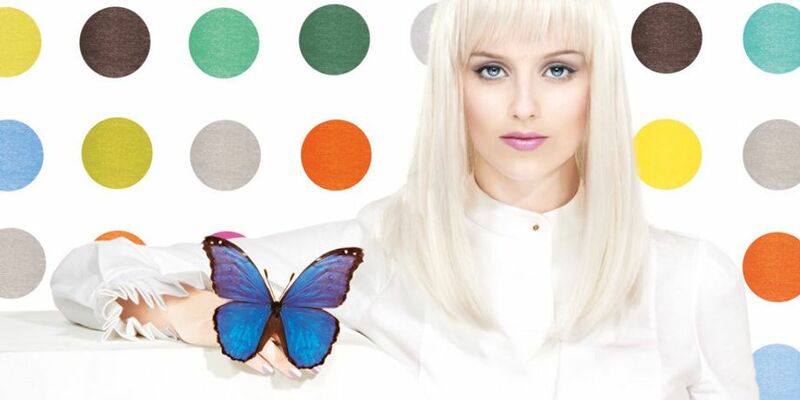 The parody follows celebrity brand endorsement and upmarket retail models. Luxury brands associate themselves with the A-list to appear exclusive; similarly these artists use their celebrity status to enhance their artworks’ allure. Most of the profit made by upmarket brands comesfrom the sale of accessories and perfumes, which are the few affordable goods available to the masses. Zaniol theorises the transformation of high art and artists entrepreneurship into luxury ventures exaggerating the commerciality of contemporary art with her fragrances. The launch of Brand Art Sensation will be supported by a series of billboards, shown both as part of the exhibition and across the streets of London. 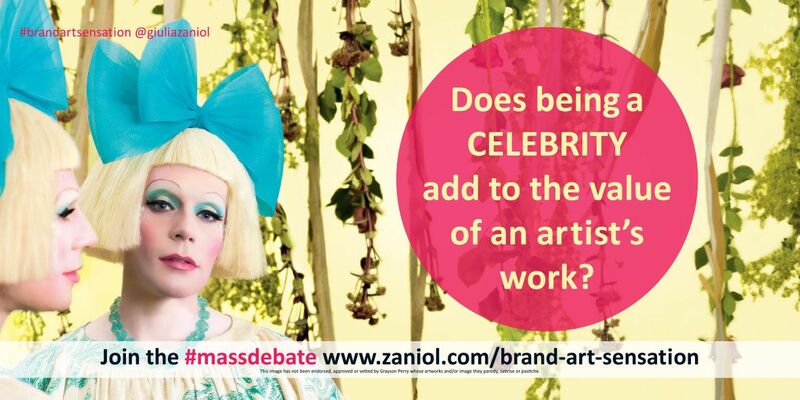 These ”ads”, along with a social media strategy and spoof video adverts, will ask the public to join a debate at www.zaniol.com/mass-debate , discussing luxury art and the emergence of the celebrity-seeking ‘artist-entrepreneur’.